Stella & Dot has taken Hollywood by storm with celebrities and editors adoring Stella & Dot's boutique style jewelry and accessories line! Elizabeth Banks, an actress, producer and director, has been spotted wearing the Stella & Dot Medina Bib Necklace on multiple occasions! Add this necklace to a summer dress or with a shirt and jeans. 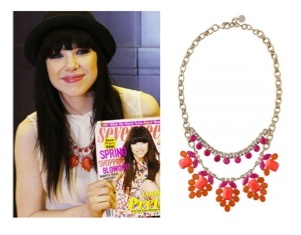 Carly Rae Jepsen was seen accessorizing with the Spring Awakening Necklace while posing with Seventeen magazine. This beautiful necklace is perfect for spring! Shay Mitchell looks stunning in the Pegasus Necklace and owns several Stella & Dot pieces. Be your own celebrity and flaunt Stella & Dot's couture style. Happy Accessorizing! 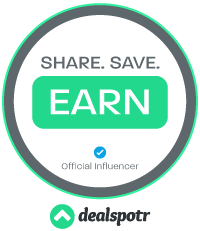 If you're a blogger and want to join Stella & Dot's affiliate program, click here.